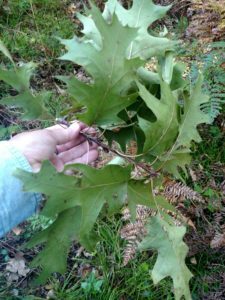 Forest health specialists in the northern part of the state recently received reports of oak trees suddenly losing branch tips (complete with attached leaves). 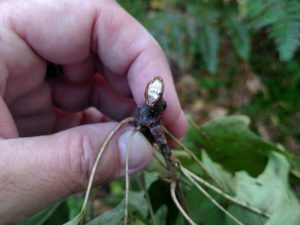 Preliminary examinations of cut/branches did not initially reveal any obvious problems. However, upon closer inspection, teeth marks from squirrels were found on many of them. Squirrels were even observed clipping oak branches and dropping them to the ground. Some clipped branches were only 5 to 6 inches long, but other branches were over 2 feet long. It is possible that squirrels, at least in part, are clipping oak branches to more easily reach acorns, but not all clipped branches contained acorns. 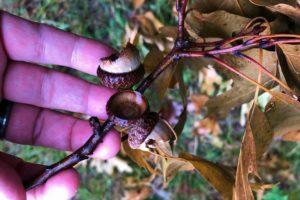 Clipped branches containing acorns were noted and checked the following day; most of the acorns had either been removed or partially consumed. This type of damage is often restricted to single trees. Although the growth of severely affected trees may be reduced in the following year, in most cases the trees recover completely.